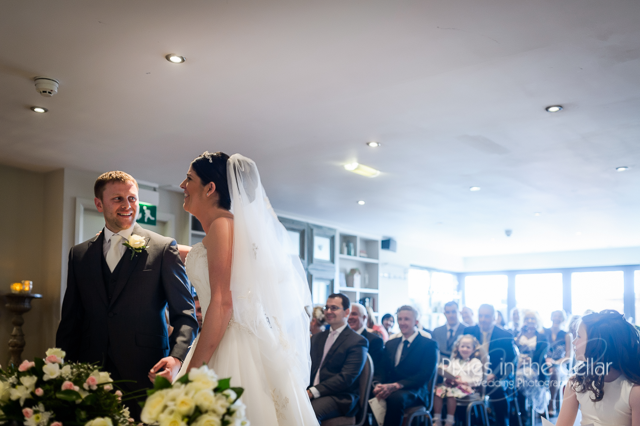 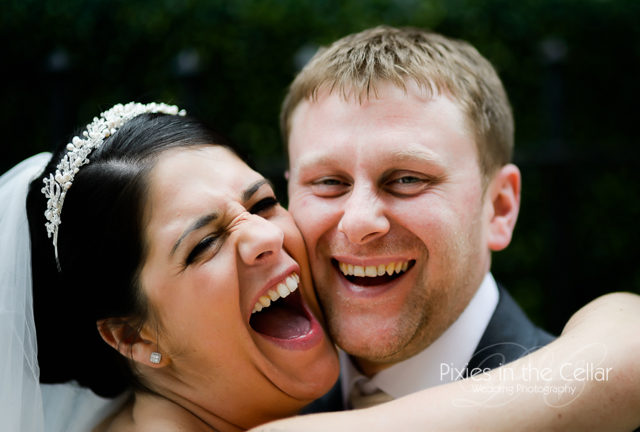 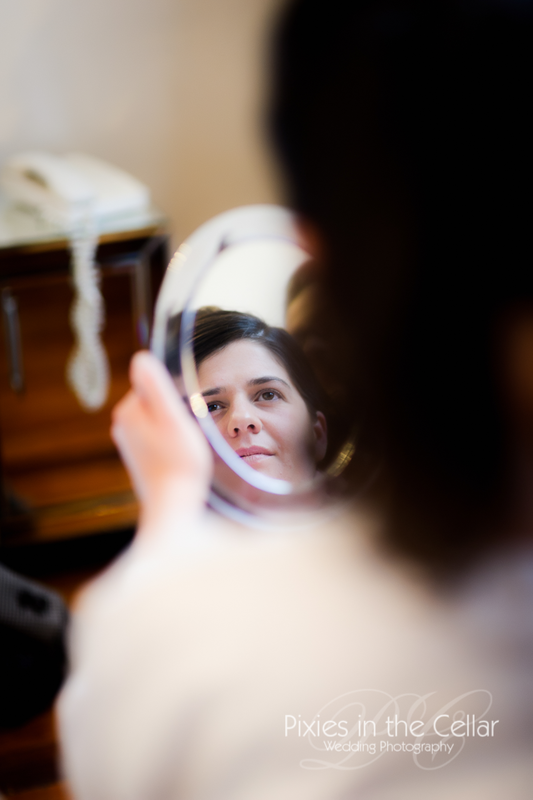 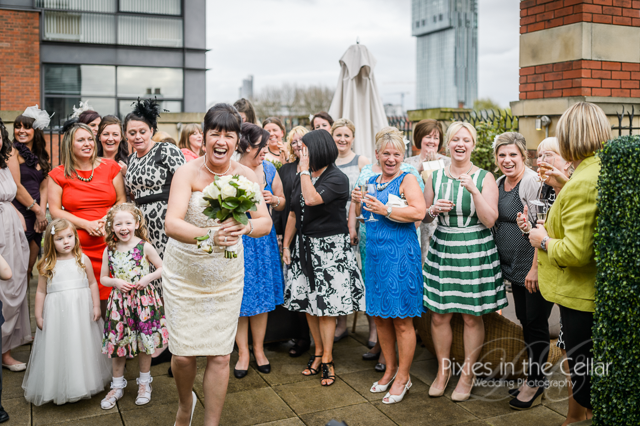 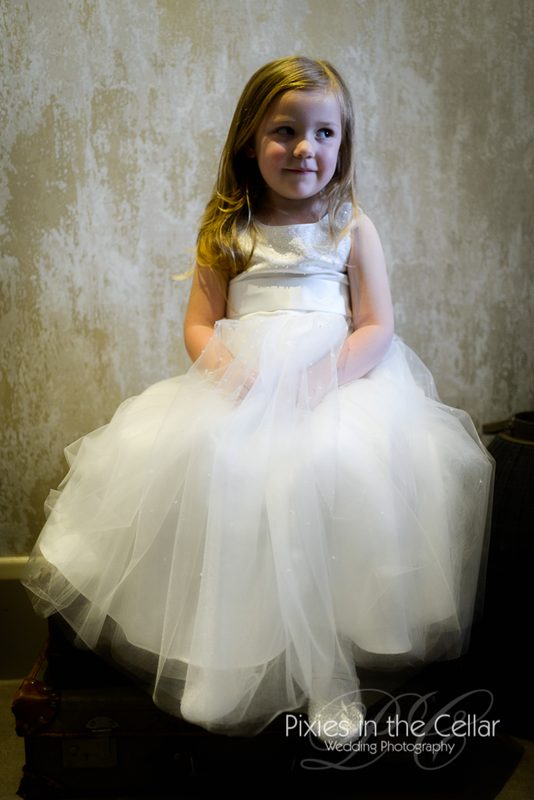 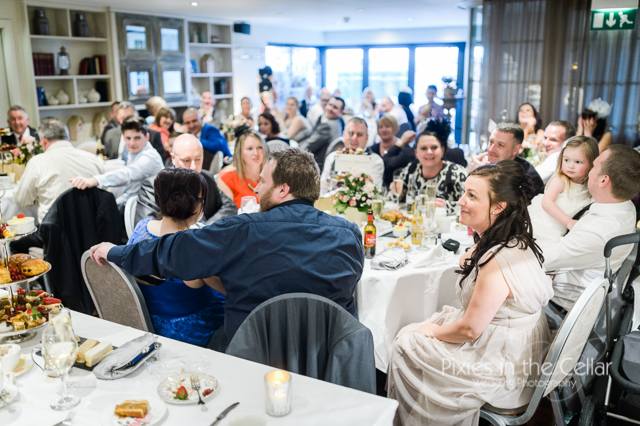 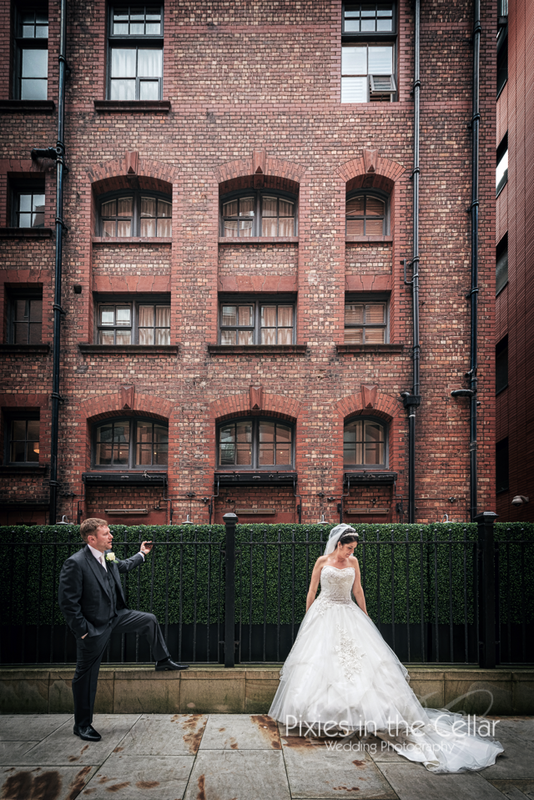 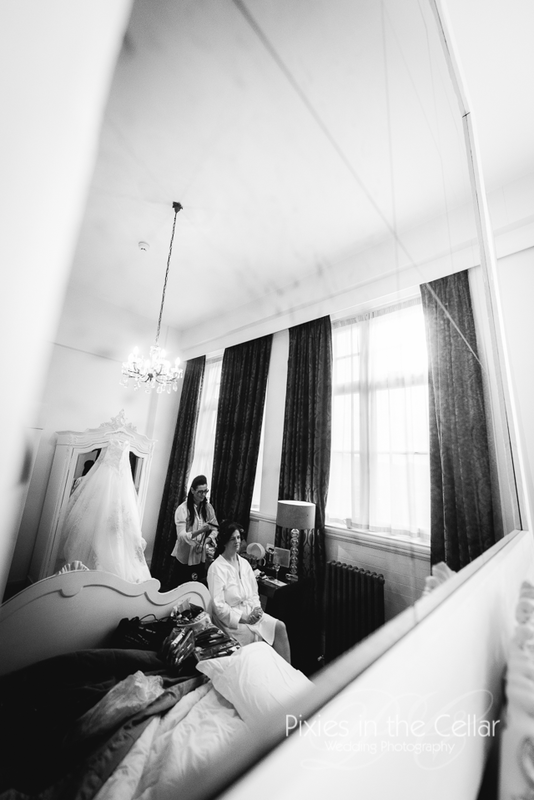 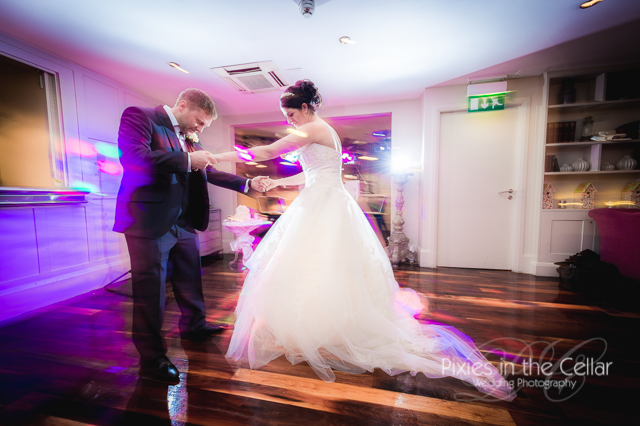 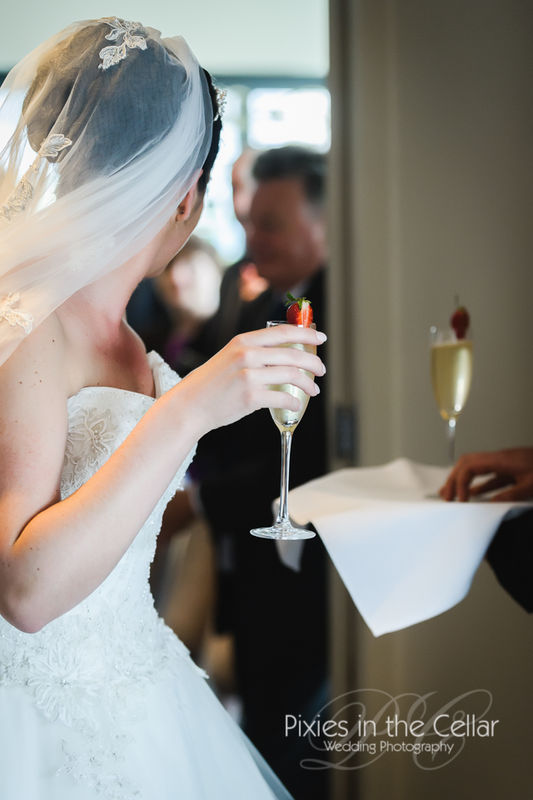 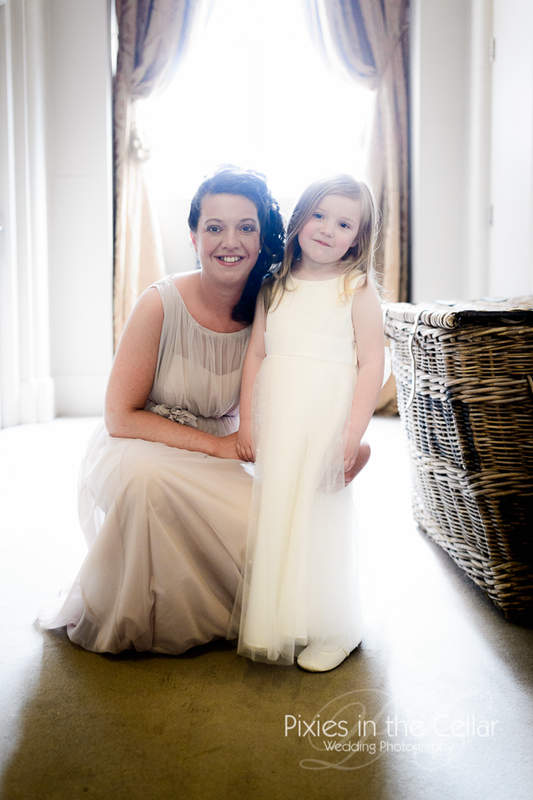 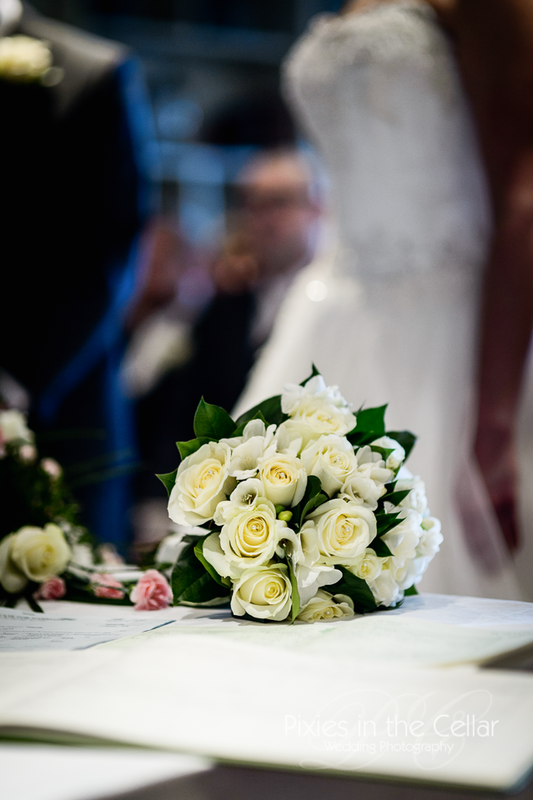 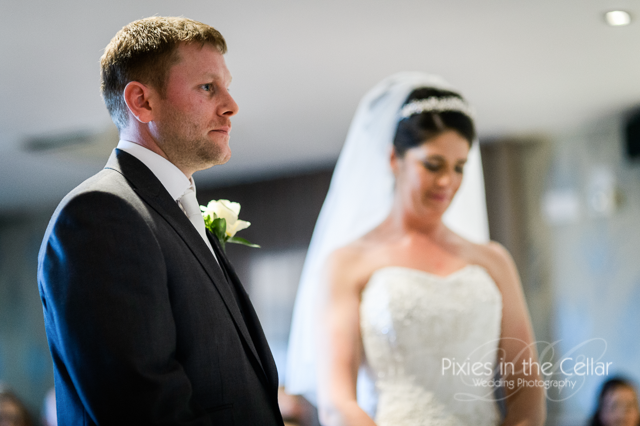 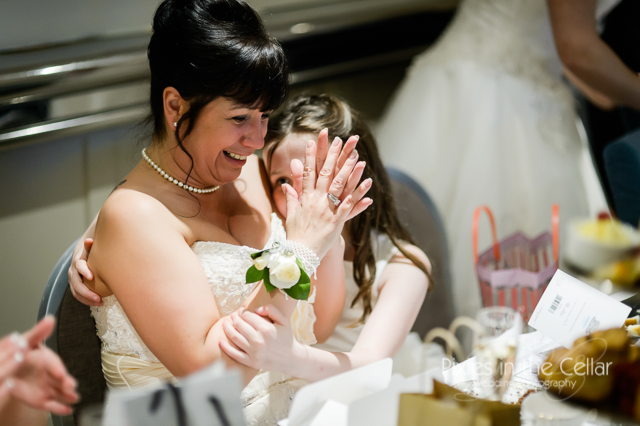 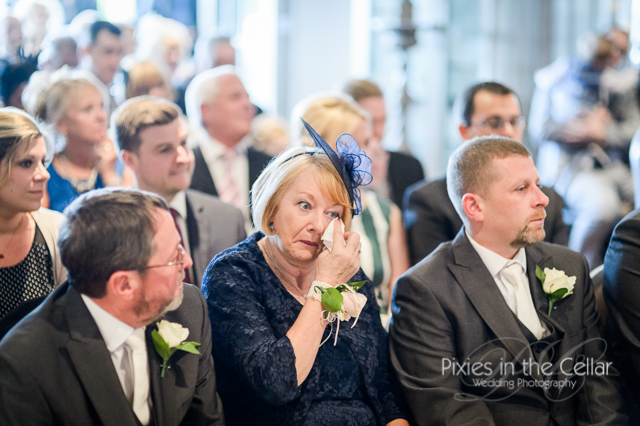 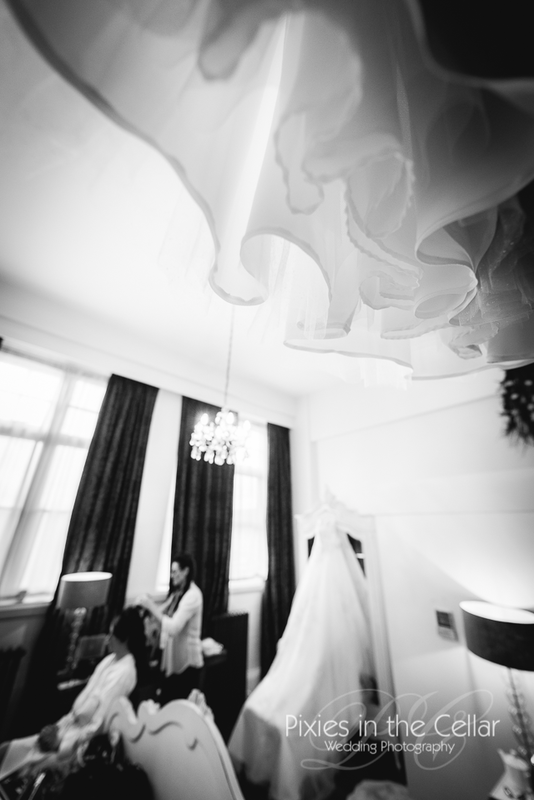 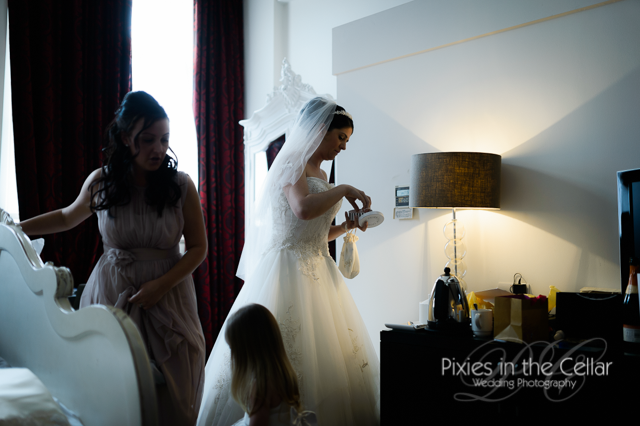 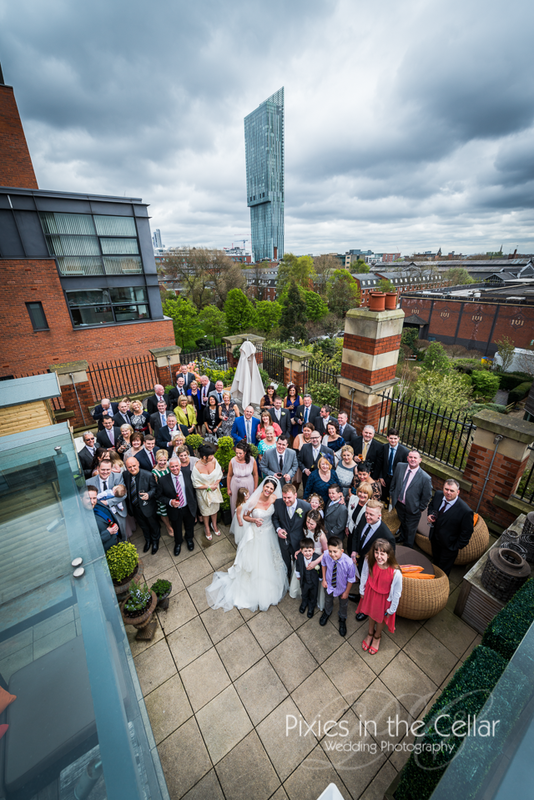 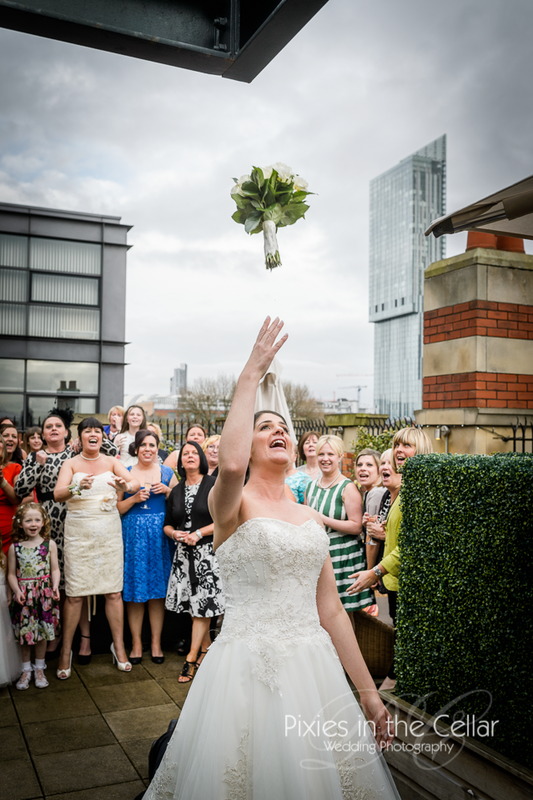 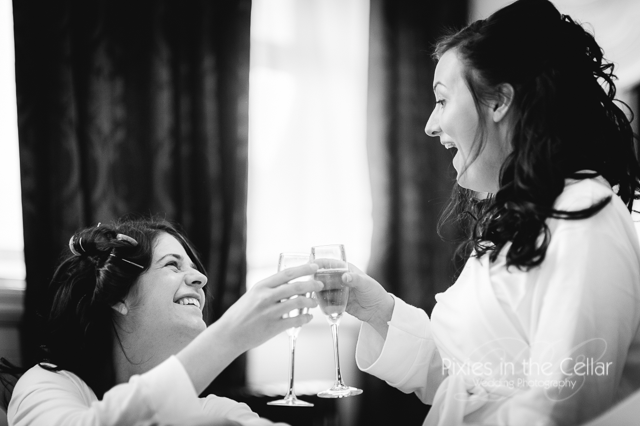 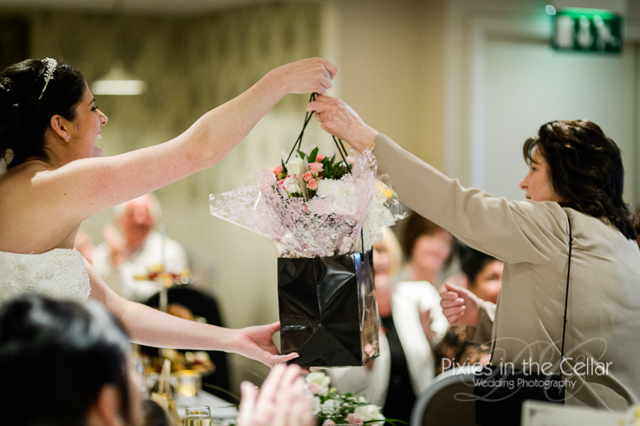 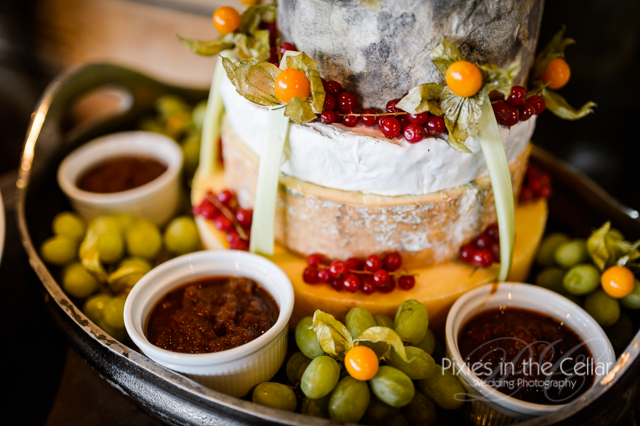 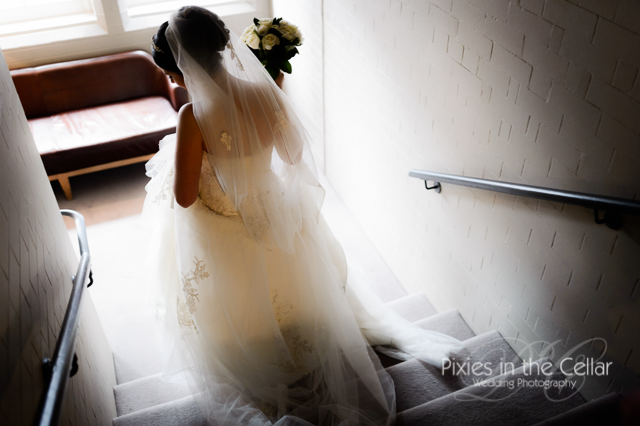 A Great John Street Hotel Wedding, with an afternoon tea styled wedding breakfast – Manchester City centre. 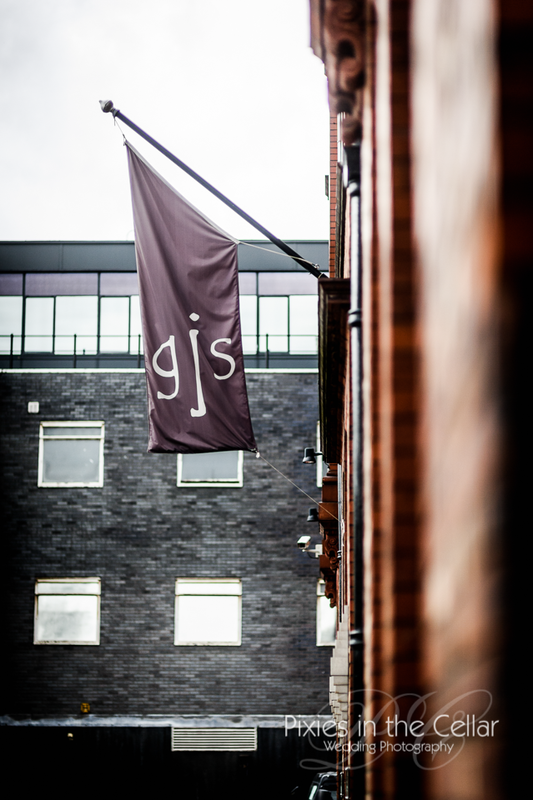 The whole day was spent at Great John Street Hotel, on the edge of Castlefield and Manchester City Centre. 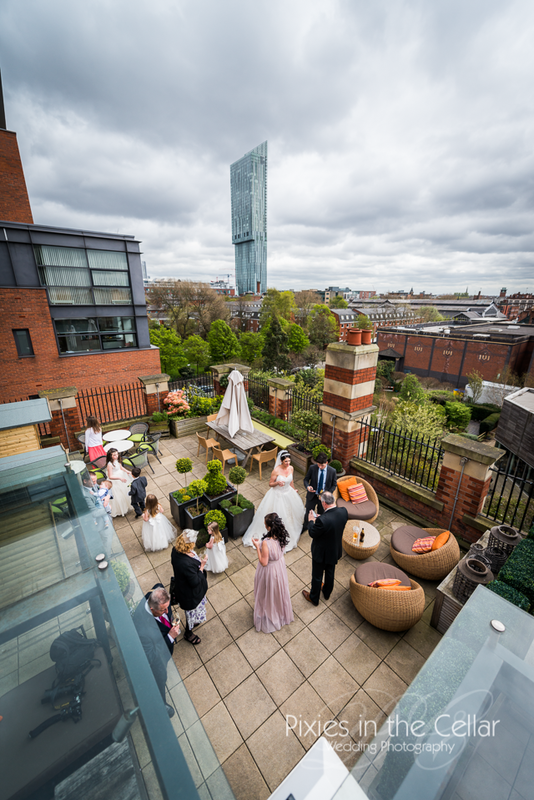 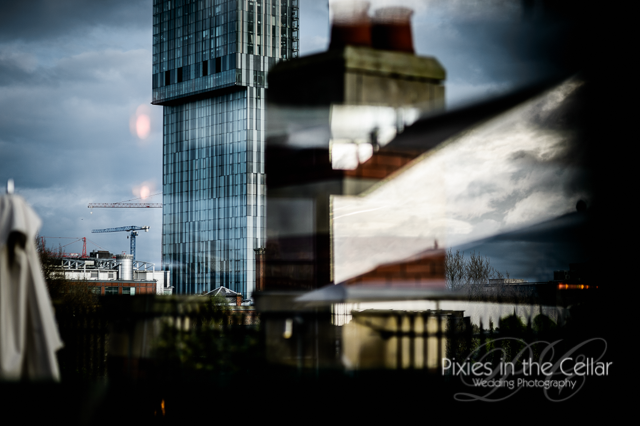 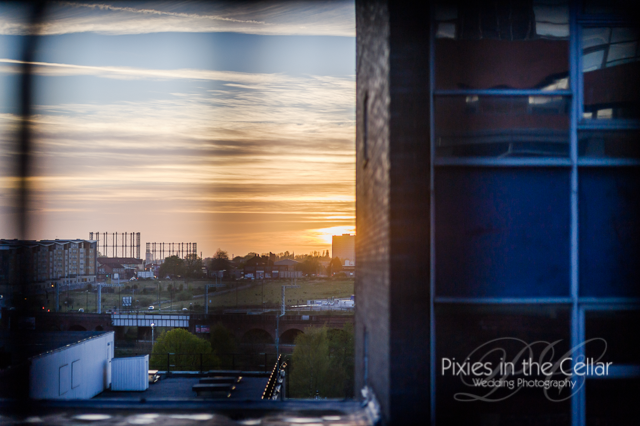 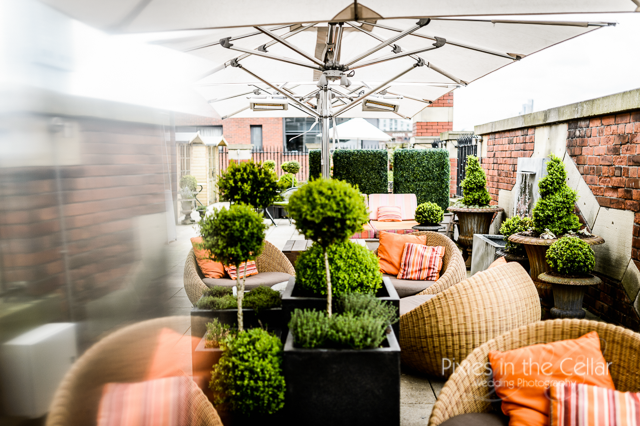 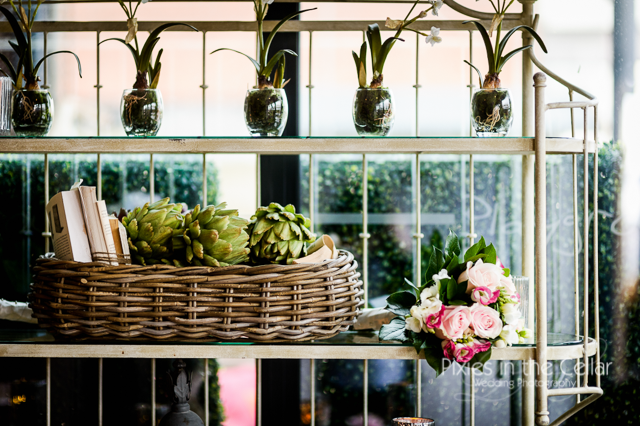 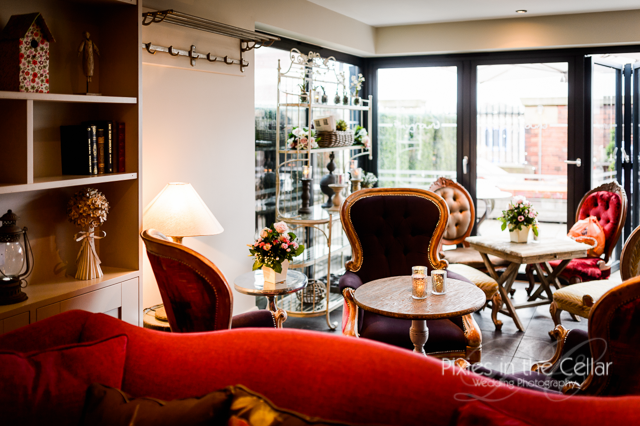 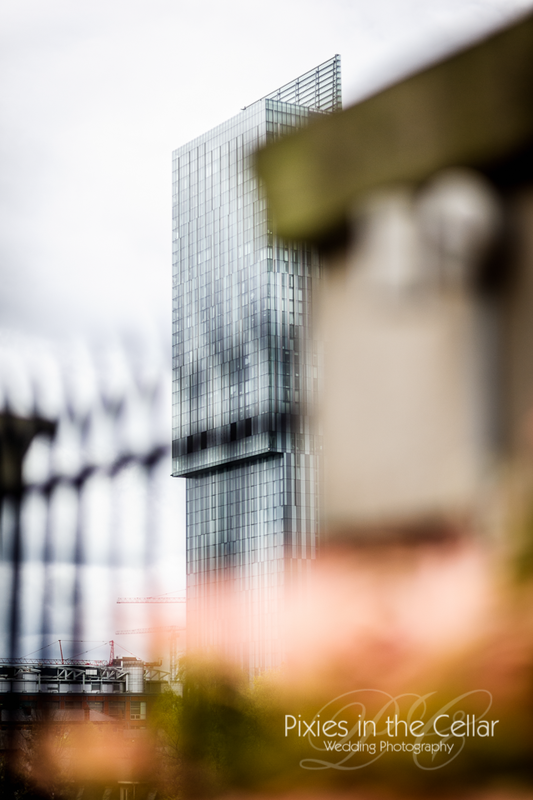 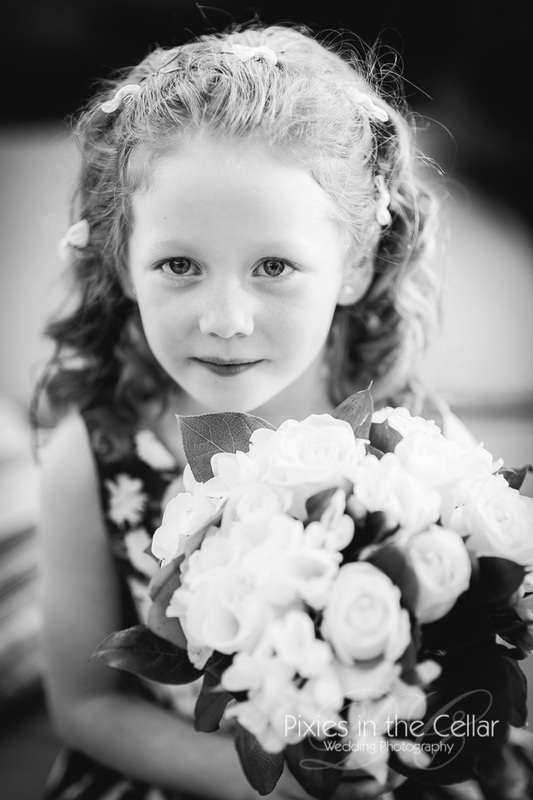 Rebecca had fallen in love with its quirkiness, all the little details in every nook and cranny and the unusual roof top terrace with views over Manchester and Beetham Tower. 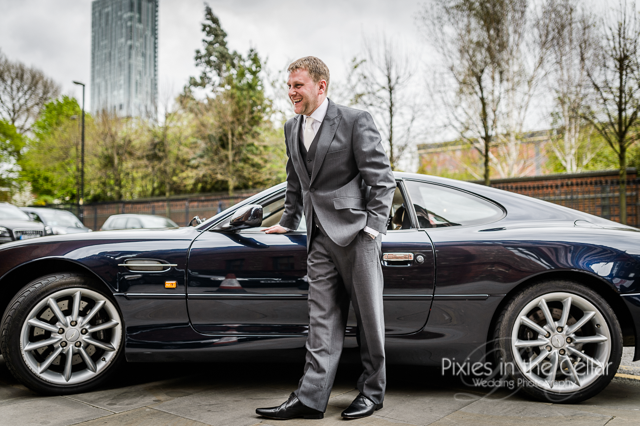 Martin arrived by Aston Martin (quite apt really!) 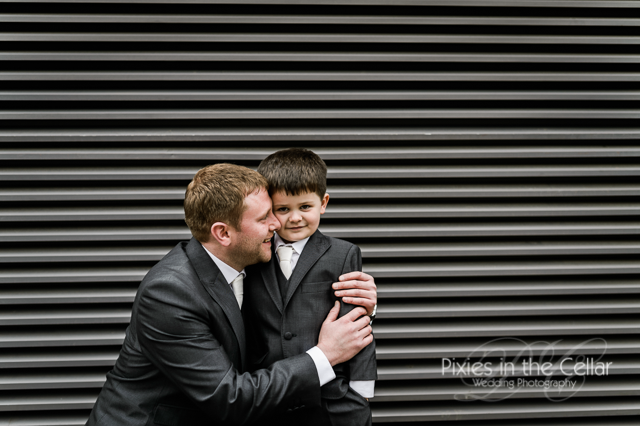 with Thomas their son enjoying the ride too :) Whilst the girls all managed to traverse the ‘Girls Staircase’ in their long dresses and high heels, very commendable! 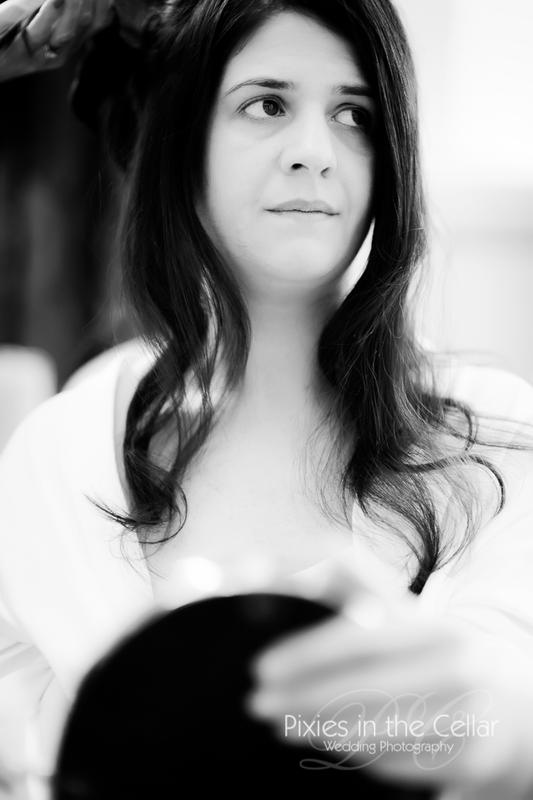 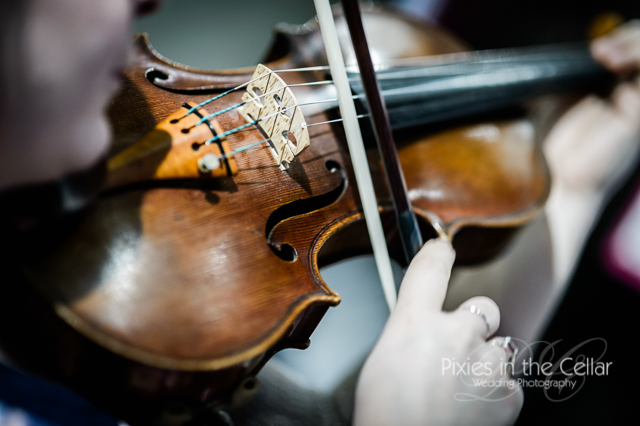 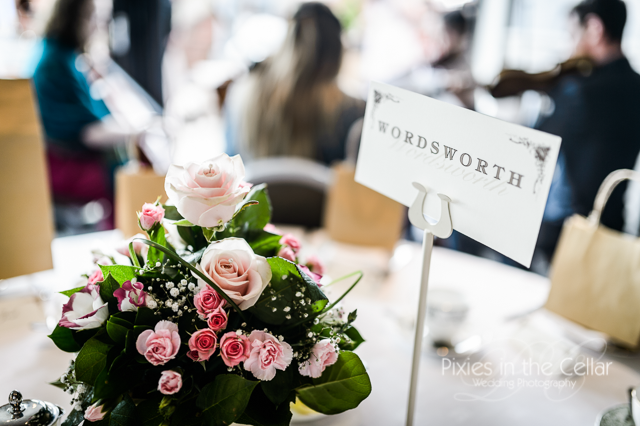 String Quartets and Wedding Afternoon Tea – very civilised! 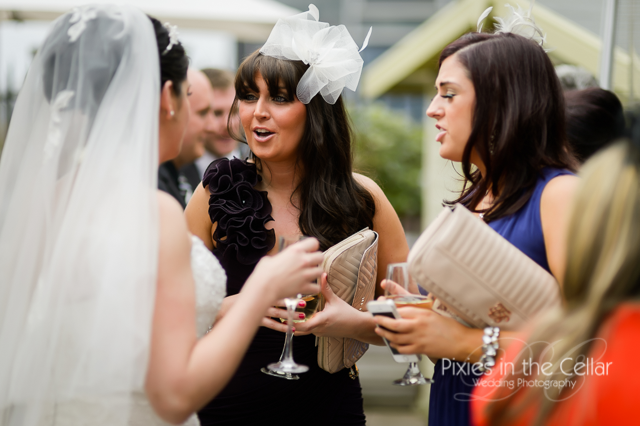 Our second meeting of the Dotted Crotchets Quartet in a week as they played Rebecca in and the proceedings began in earnest. 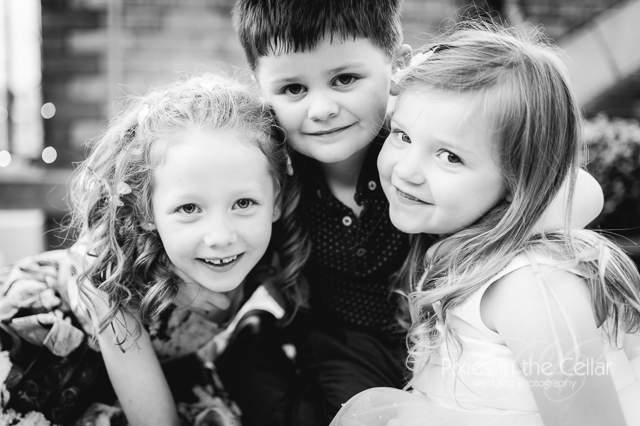 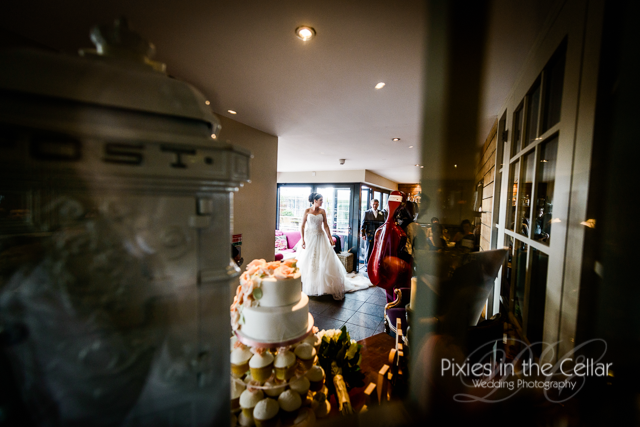 We had just enough time for a few shots around and about the hotel, before the Afternoon Tea styled wedding breakfast began. 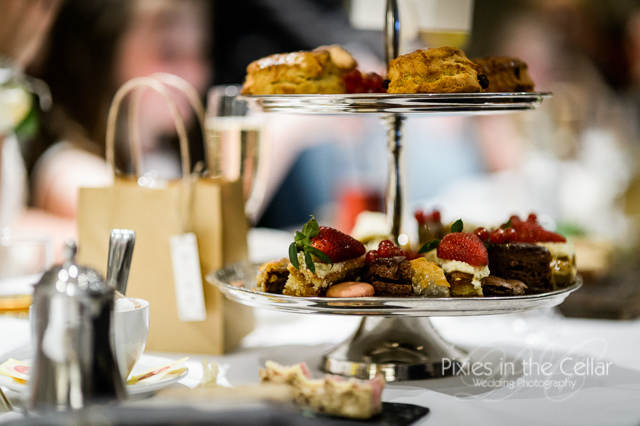 Plate after plate of sandwiches and cakes entered the room, it was certainly a feast! 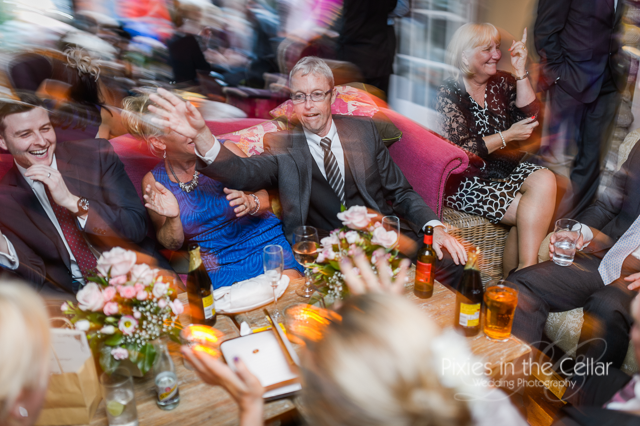 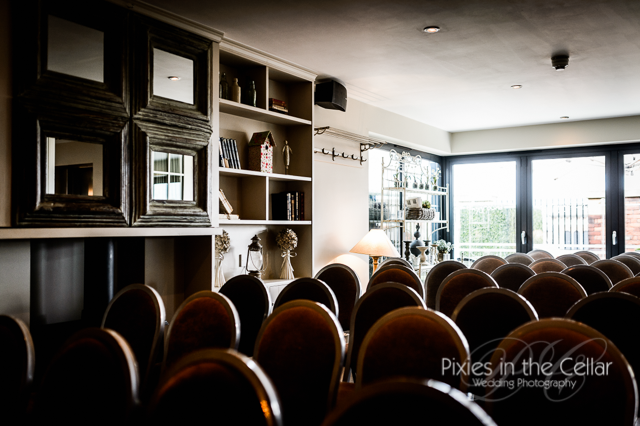 Into the evening the room was transformed yet again, to a cosy quirky sitting room feel with dance floor, bar and of course the roof terrace chill out on too! 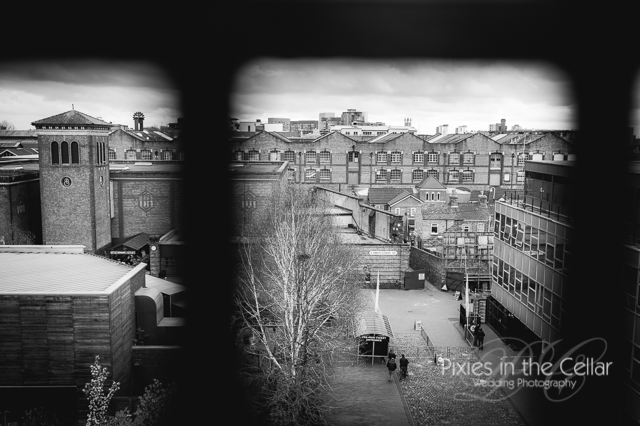 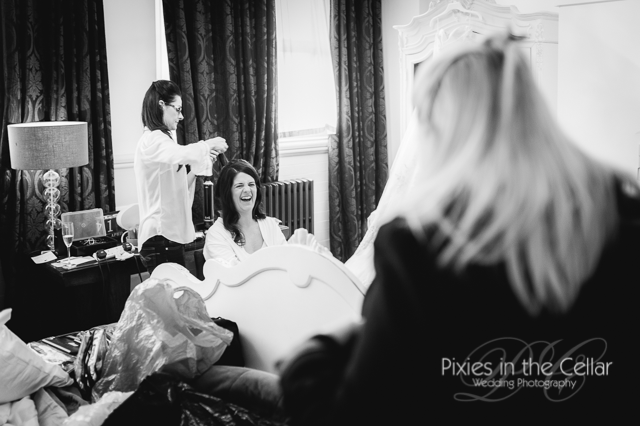 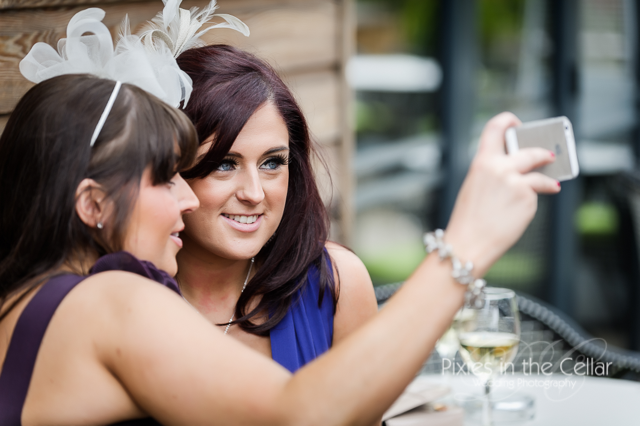 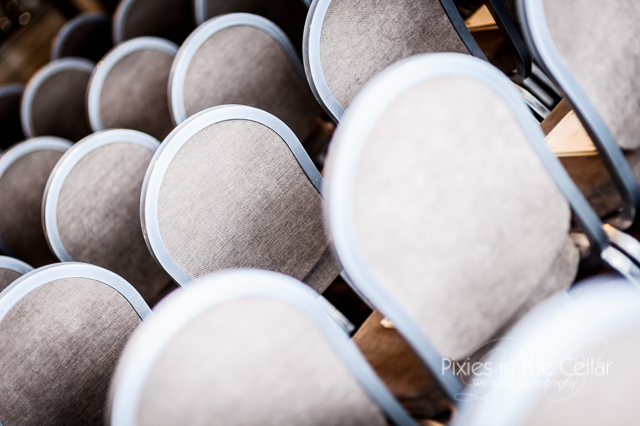 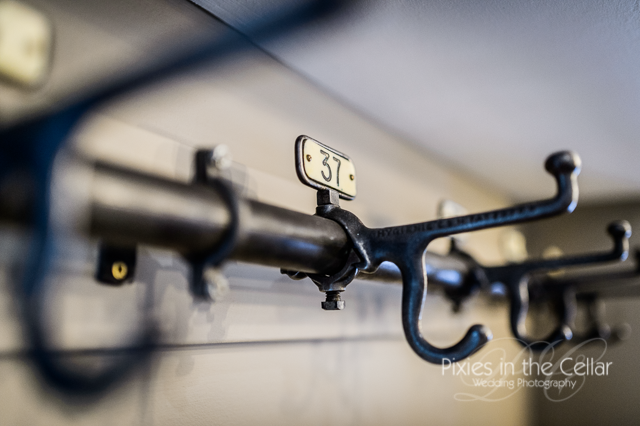 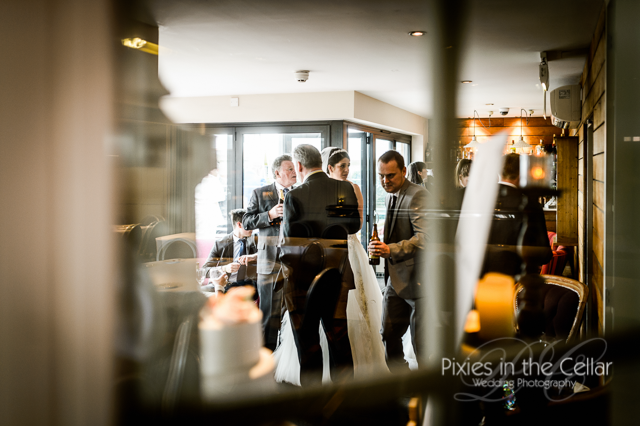 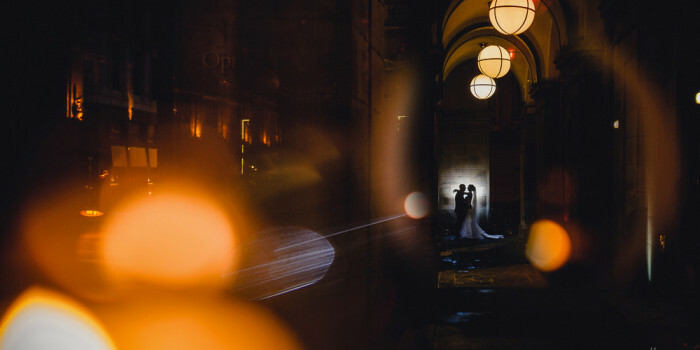 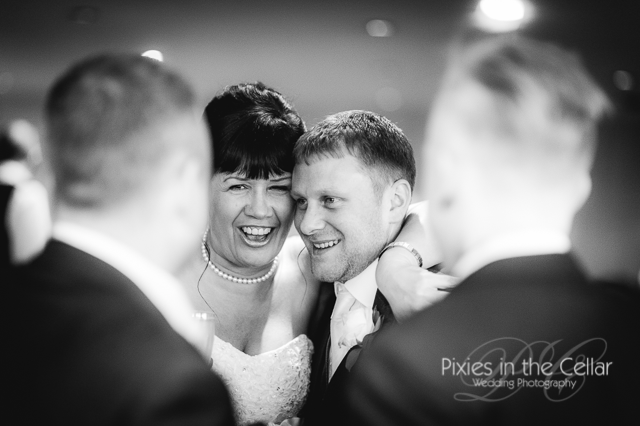 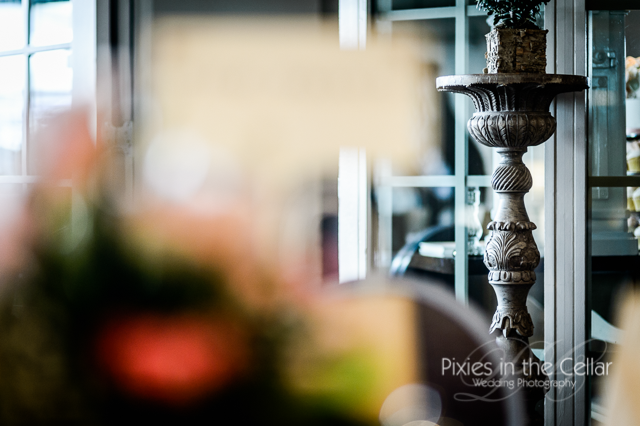 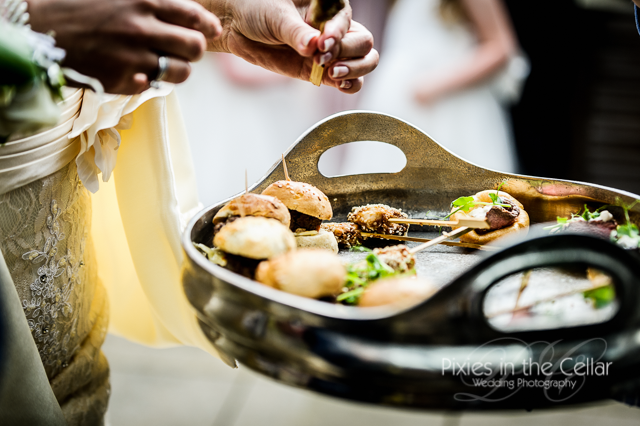 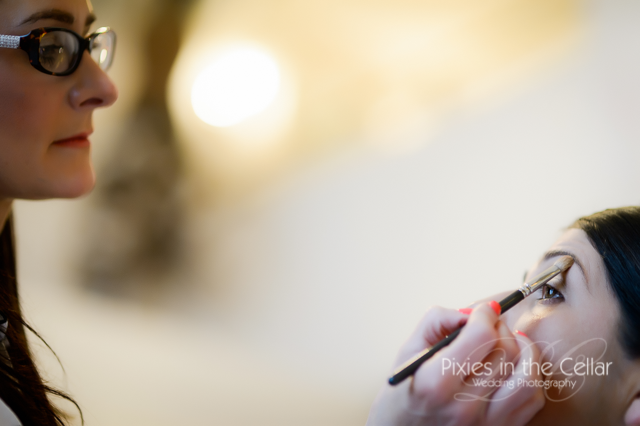 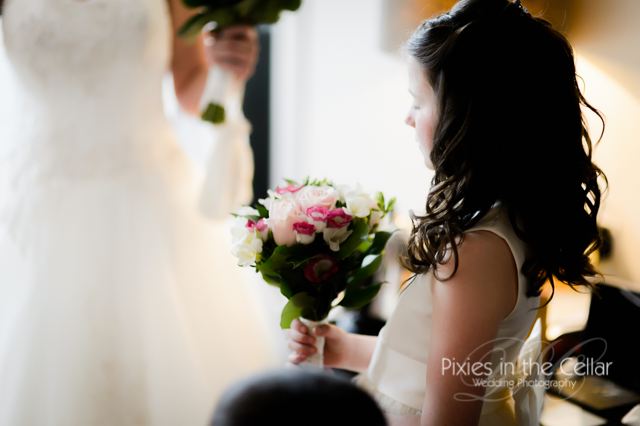 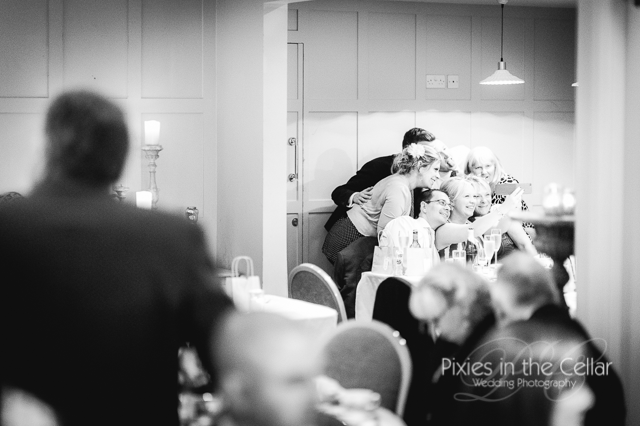 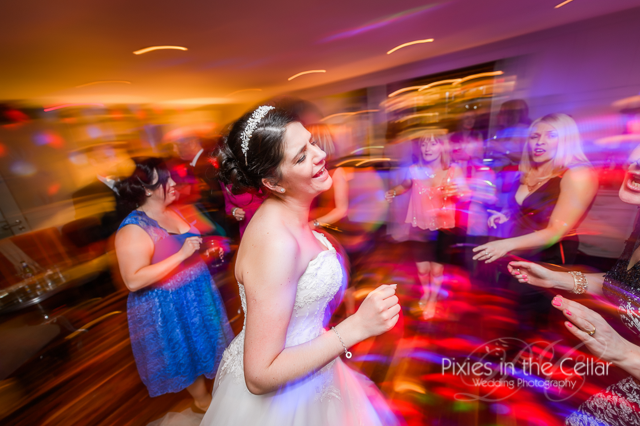 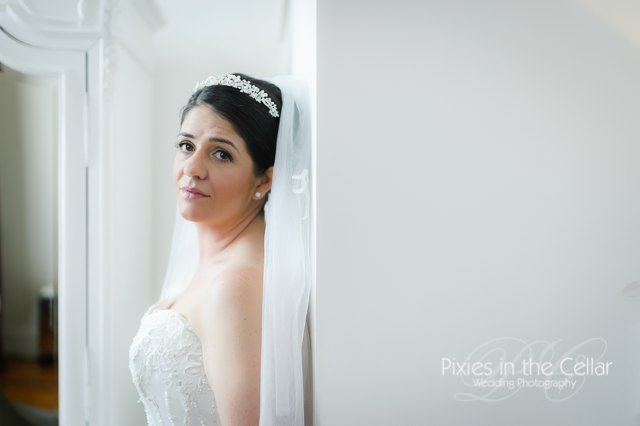 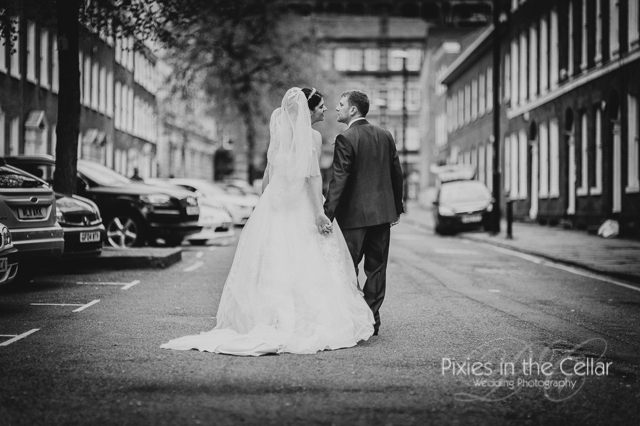 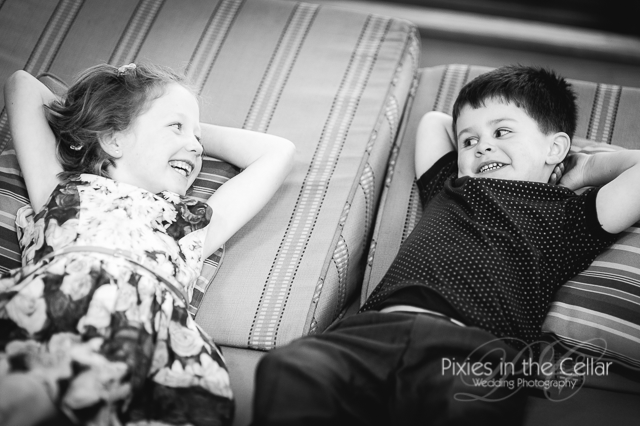 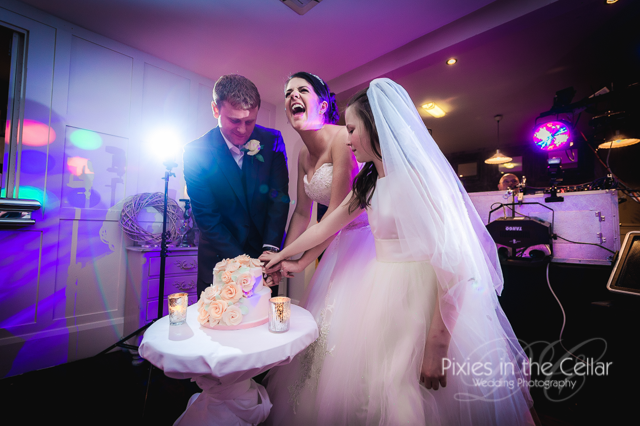 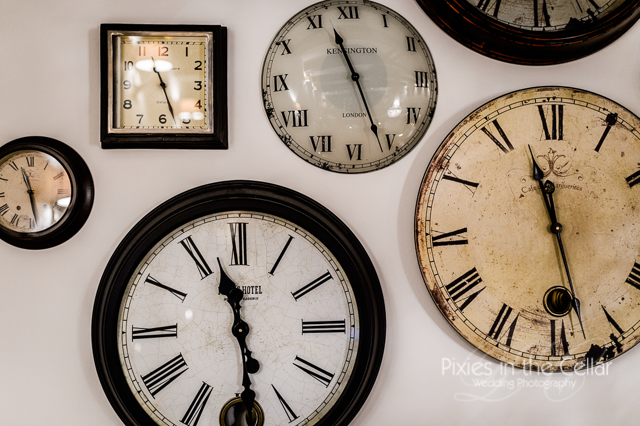 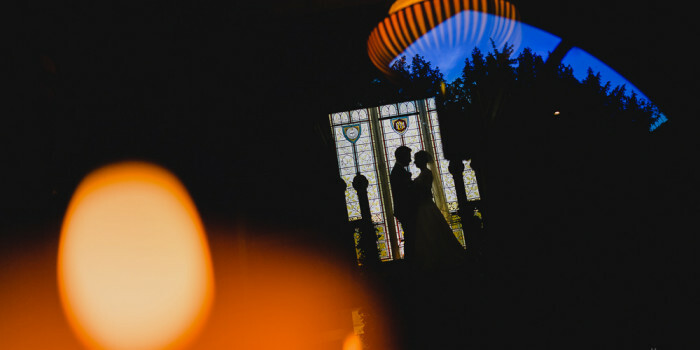 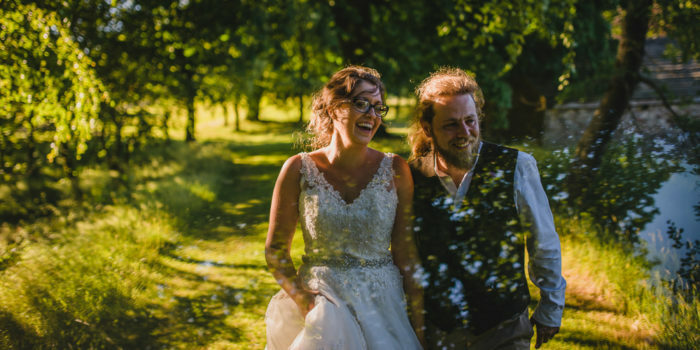 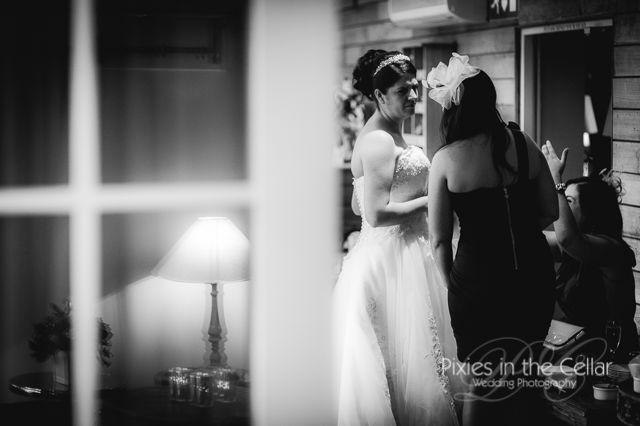 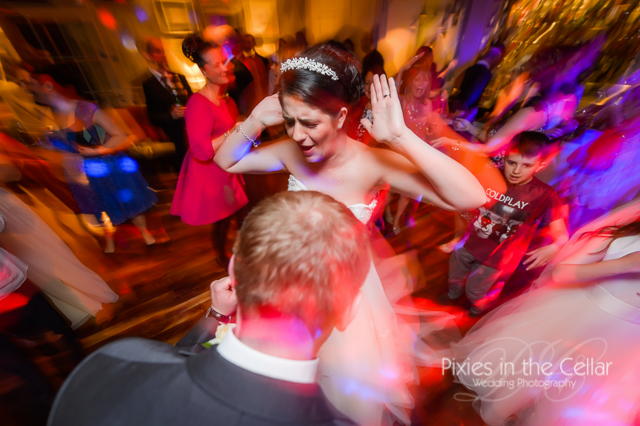 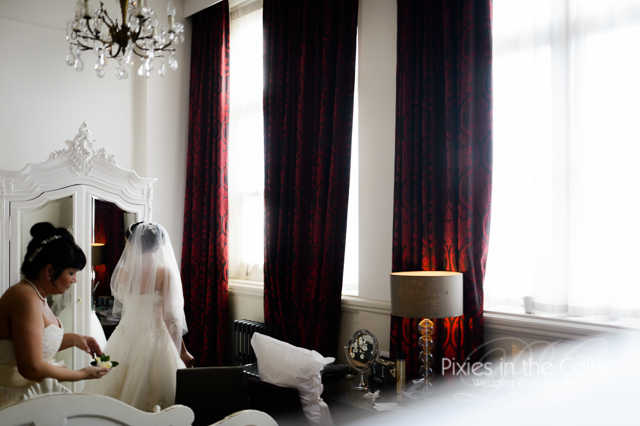 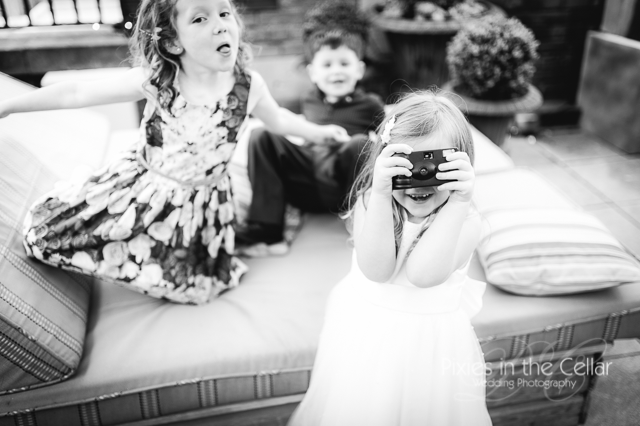 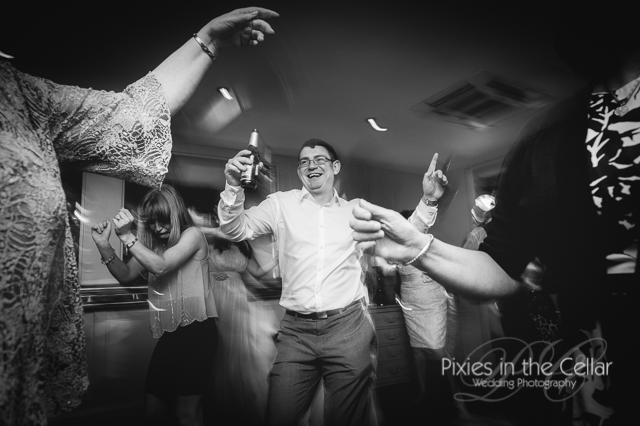 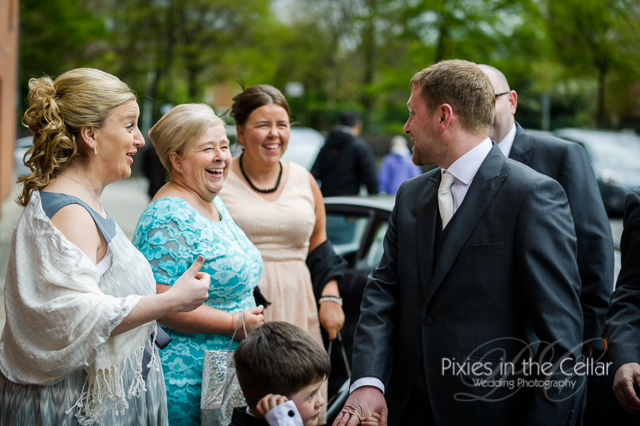 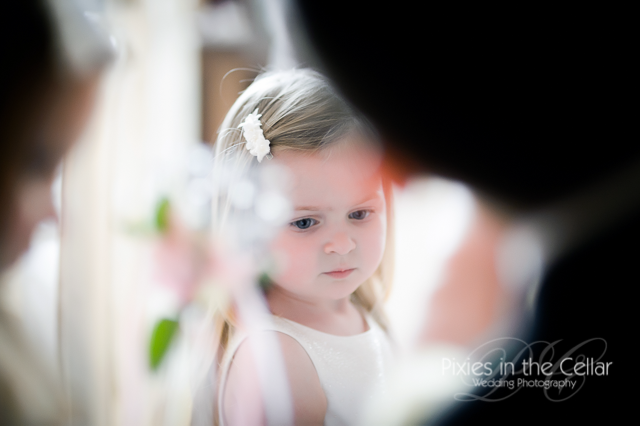 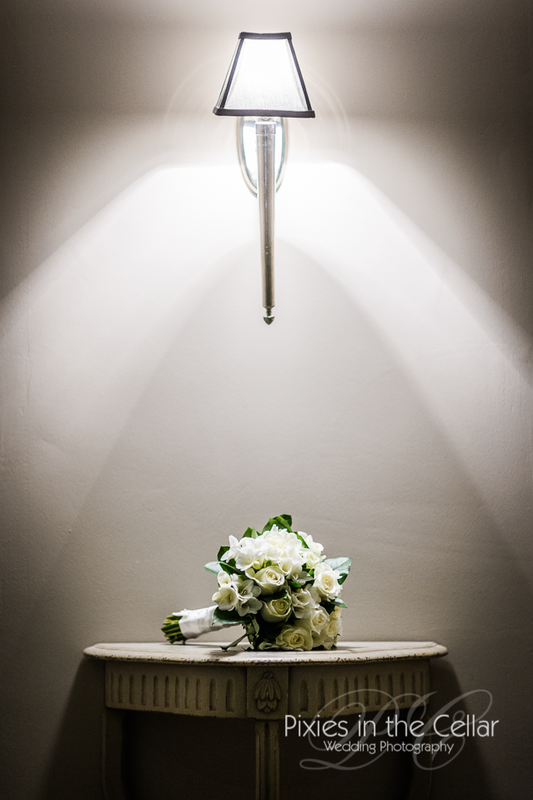 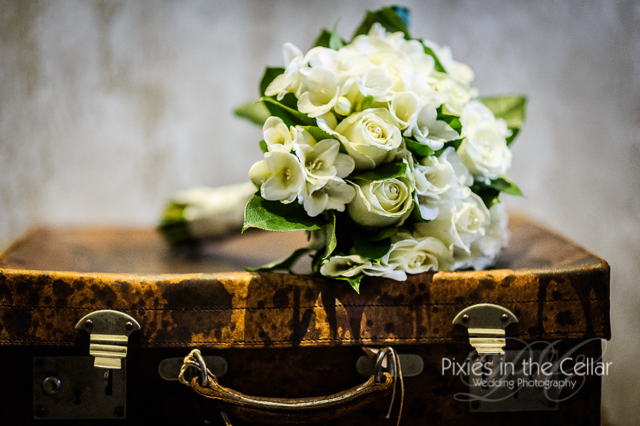 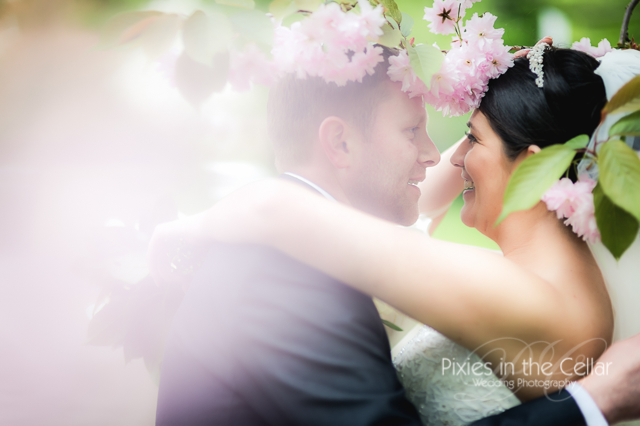 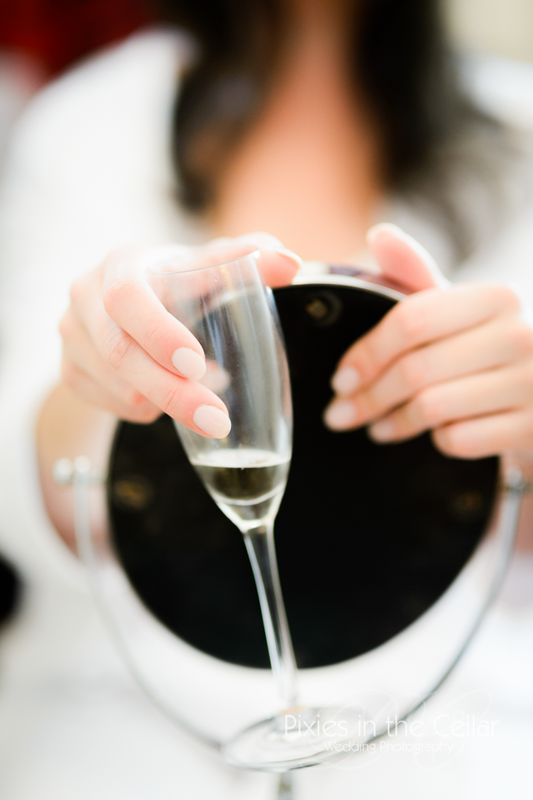 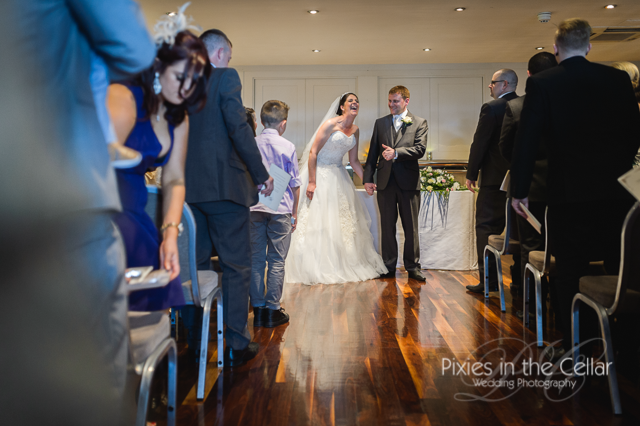 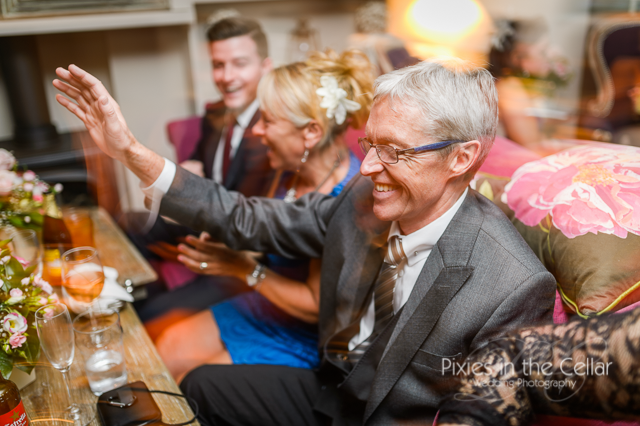 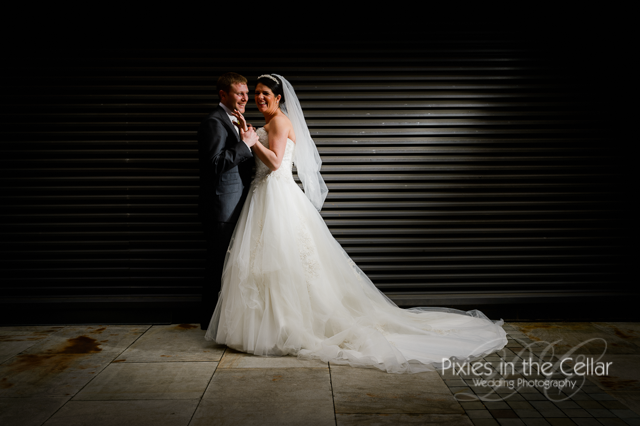 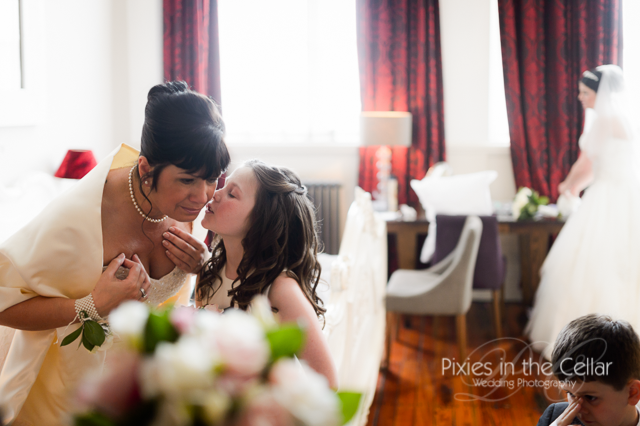 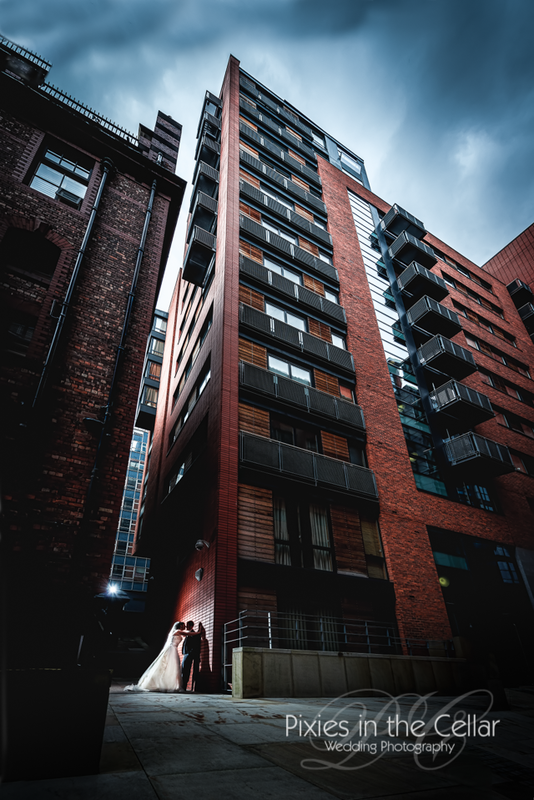 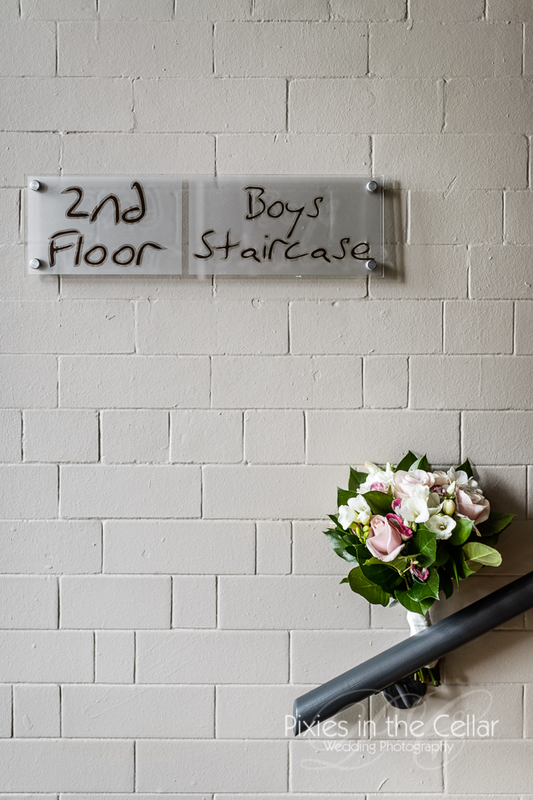 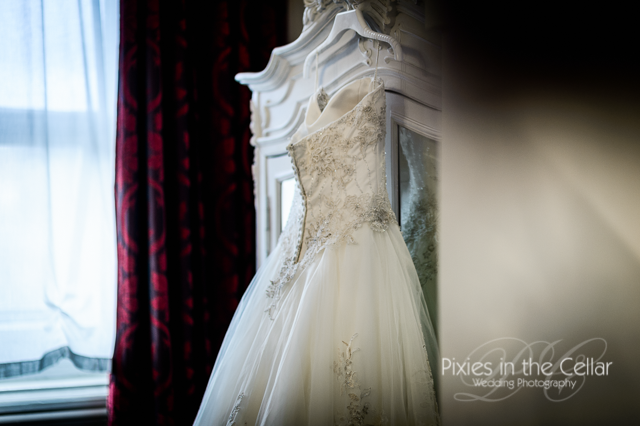 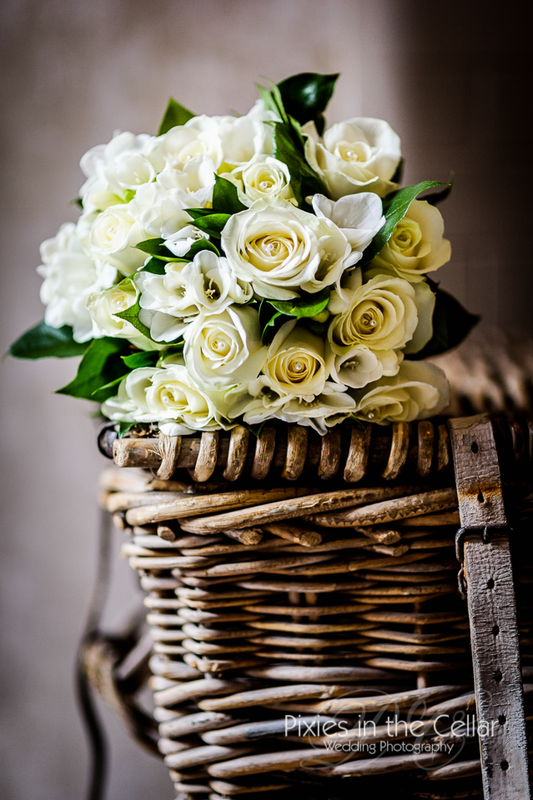 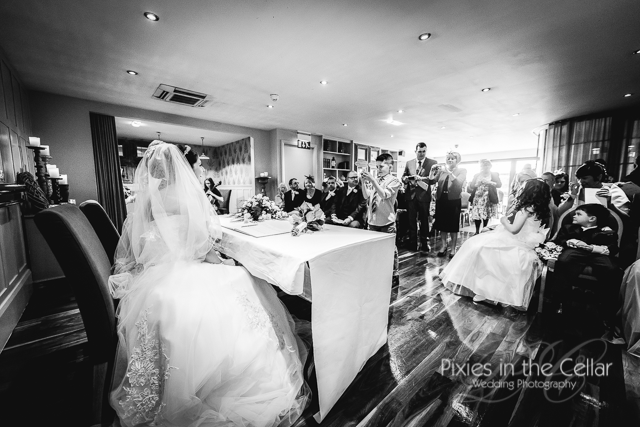 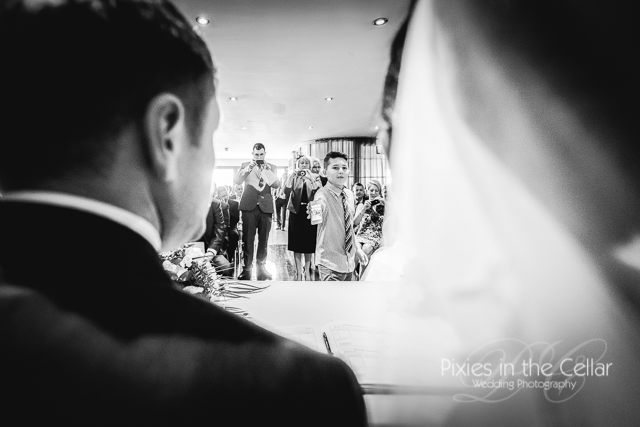 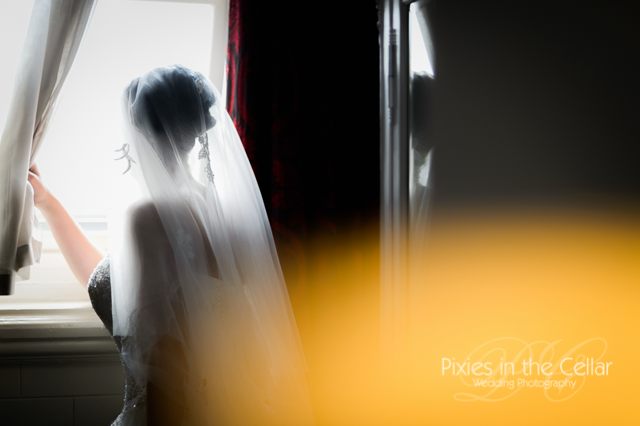 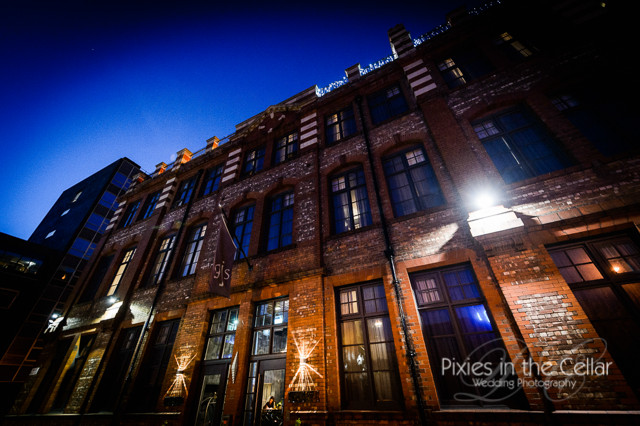 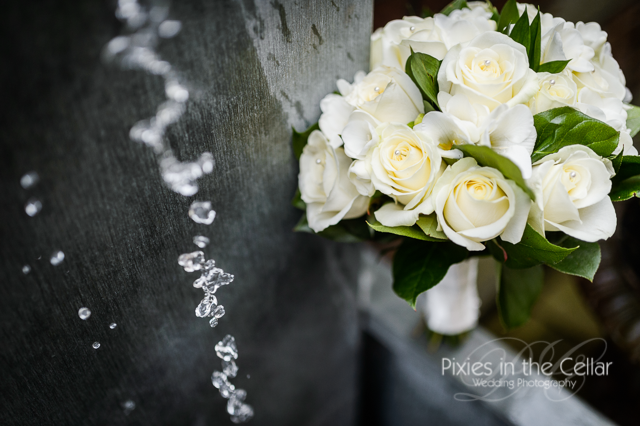 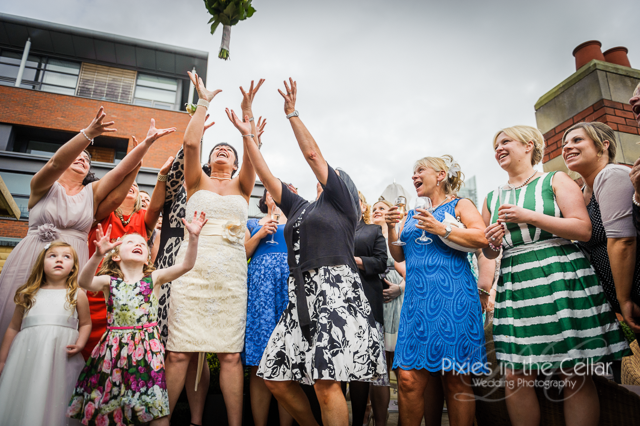 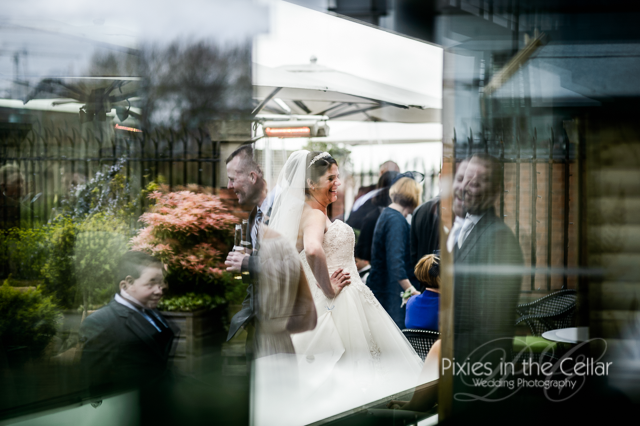 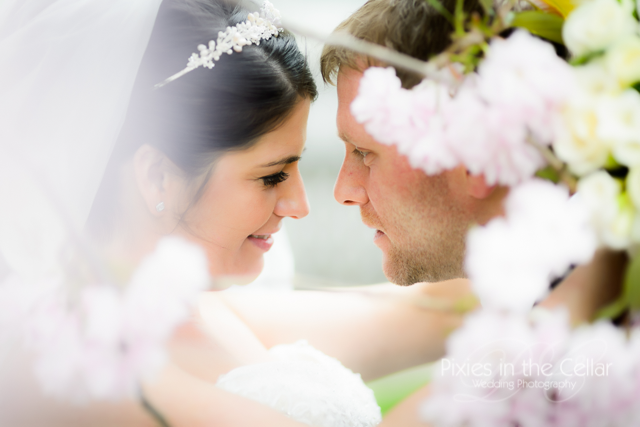 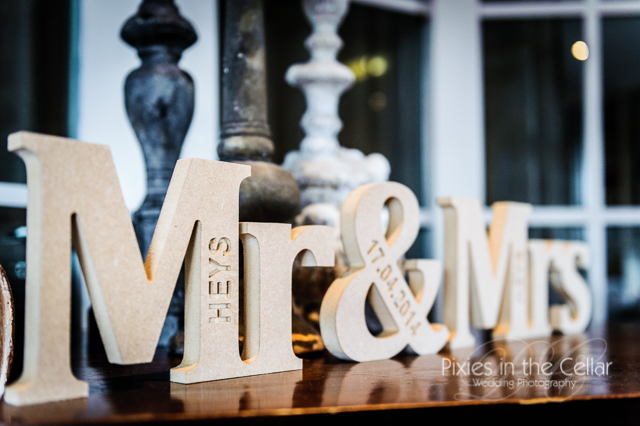 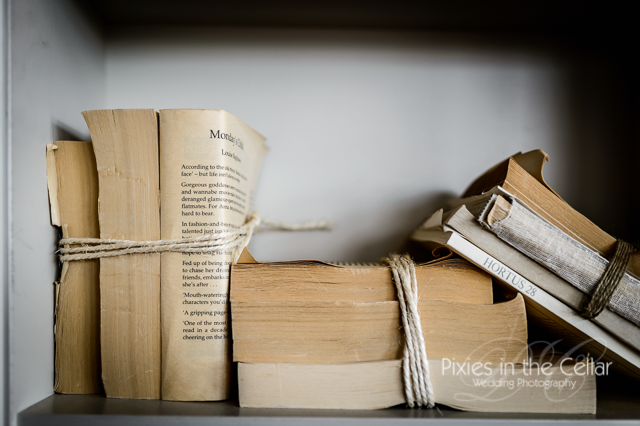 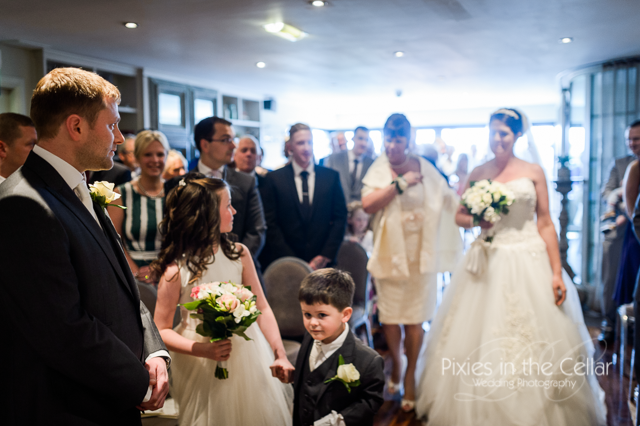 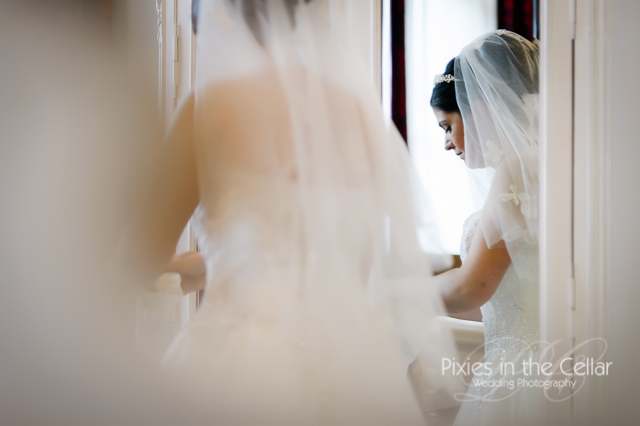 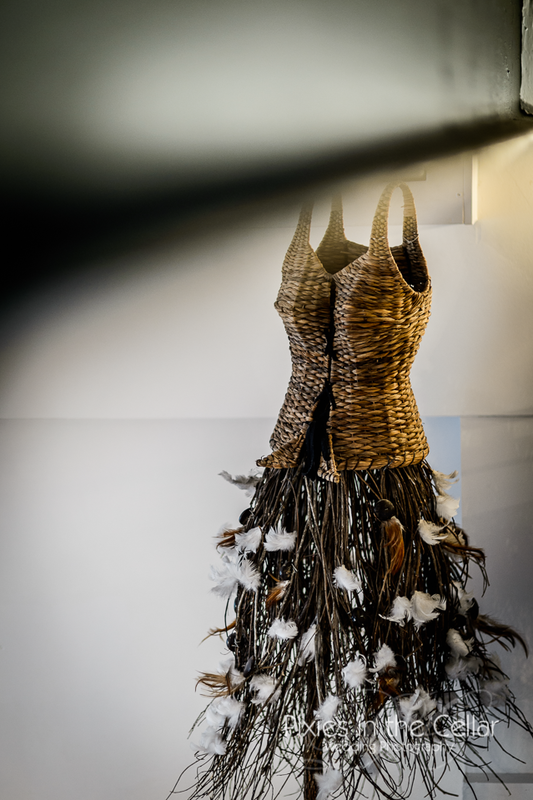 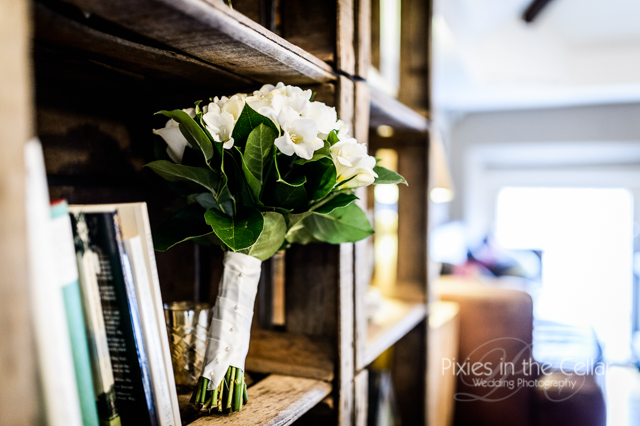 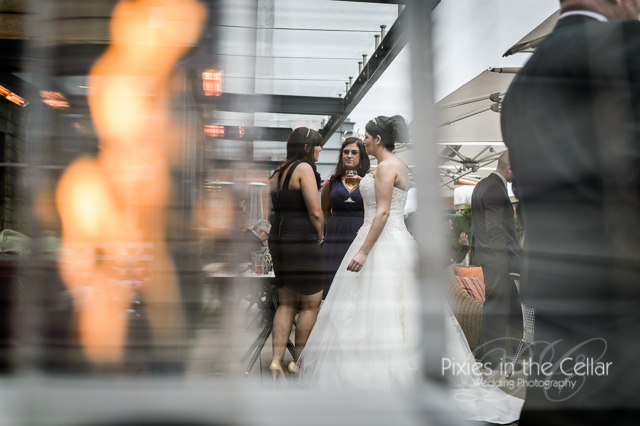 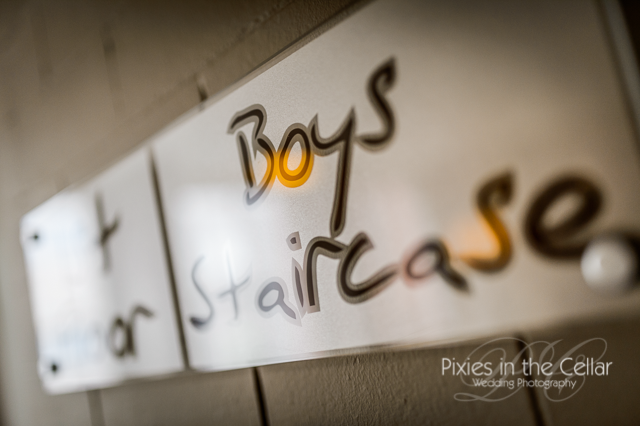 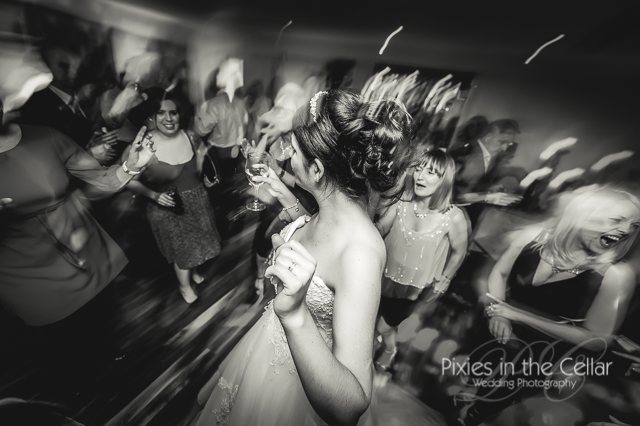 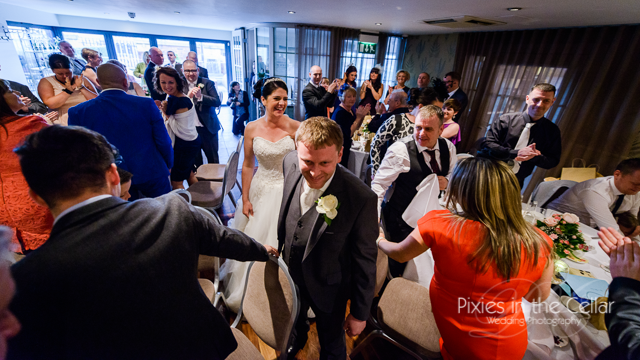 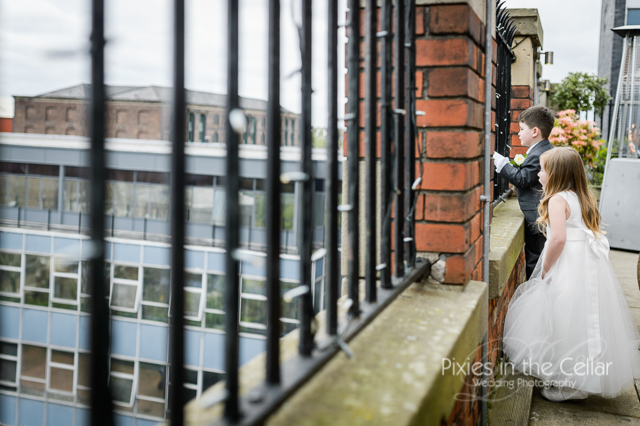 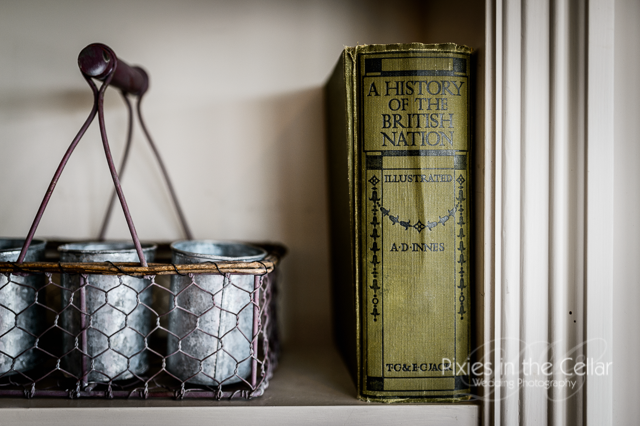 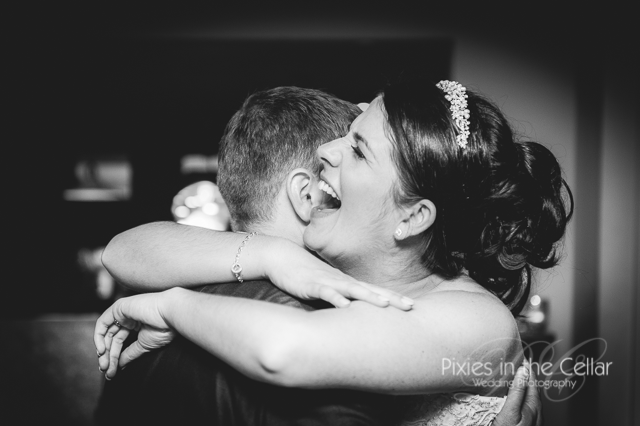 To book Pixies in the Cellar for your Manchester wedding please contact us with your wedding date or if you’re still looking around for a Manchester wedding venue, we have a mini guide to some Manchester venues here.